A symphony of teak and 24 k gold-plated metal. 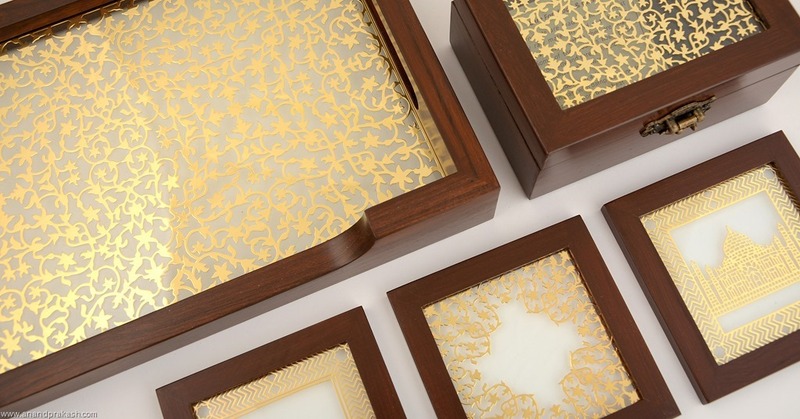 Serving tray, coasters and multipurpose box from our Taj Mahal range. This entry was posted in Whats New and tagged Anand Prakash, Coasters, Handicrafts, Home Decor, India Inspired, Serving Trays, teak wood. Bookmark the permalink.